things to hold and stir: F*ck that Friday: Boorish Misogyny. F*ck that Friday: Boorish Misogyny. 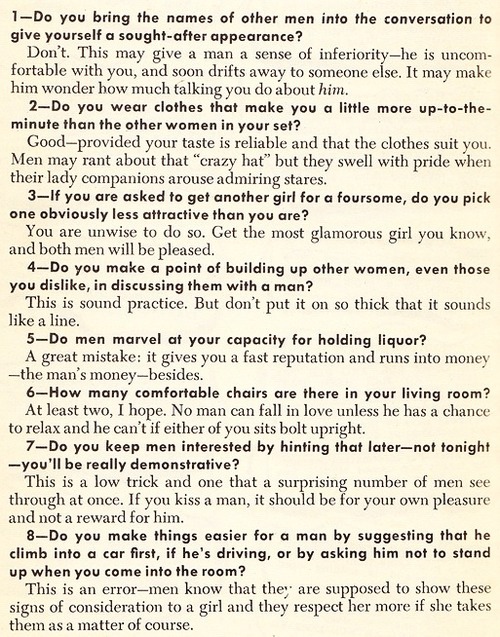 Esquire put out this amazing "How To" in 1949 and I have been putting each of its edicts to use since somewhere around 1994. 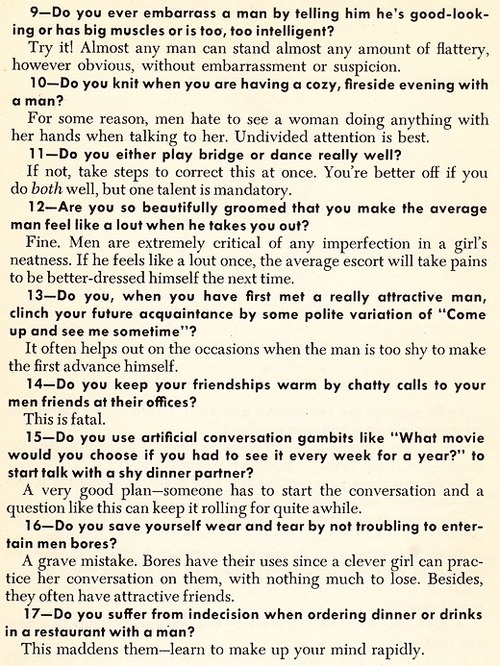 Especially, #11, I mean we literally broke it down like Hannah and Ellijah last night and my grandma taught me some mean bridge skills. As soon as I meet someone below the age of 72, two words: game on. Speaking of hinting at being demonstrative, I often where clothing that neither suits me or is functionally reliable and I make my mind up rapidly when doing so especially since no one in the history of dating picks their most glamorous friend to double date with. Idiot. Whatever, this is too easy and I want to give you lovelies a shot. The bottom line is that I am in fact so beautifully groomed that I make all men, not just the average man (I have personally met and dated him also) feel like a lout. Just saying. Just an old relic? Think again, it was most recently reprinted in 1999 and you can get your edition here. Hurry up though, this undoubtedly sells like hot cakes. Speaking of dumb colloquialisms, I'm f*cked for #5, and actually most of these. Haha everyone younger than 72, fun post! Oh I'm so glad you added that last part. I knew I was out of the running once I hit #5 as well. Ah well. What are ya gonna do? Guess I'll go buy myself a shot. That is fantastic! I met my boyfriend on a cafe line using #15's artificial conversation, kudos me! Hah. 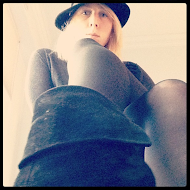 Dig your blog, will be comin' around to check you out!